Airtel Kenya now offers subscribers an option to choose their preferred customized mobile phone numbers subject to availability. This new service allows subscribers to use any mobile number prefix on any sim card on Airtel’s network. However, if the requested number is unavailable, subscribers will be given alternative numbers resembling the requested phone number. Airtel Kenya direct debit payment service allows subscribers to pay their monthly bills using a bank account transfer, Visa credit card or a Master credit card. By using this service, you are actually instructing Airtel to get their monthly bill payments from your bank account or credit card. However, Airtel must receive your authorization through a signed direct debit agreement signed by yourself and your bank. Lenovo is a Chinese electronics giant with presence in many countries world wide. The latest development from the electronics firm is the unveiling of Lenovo Lepad touch screen laptop computer ideal for both office work and gaming experience. The Lepad touch screen brings out the best of gaming experience and serves as a laptop computer screen if used on IdeaPad. Hewlett Packard has unveiled hpwebos tablet computer, a move expected to neutralize Apples presence in the market. The new hpwebos touch pad tablet computer is anticipated to attract substantial sales returns from the booming market. Currently, the market segment is dominated by Apple’s I pad devices with their most recent product being I pad 5. LG is a leading electronics giant globally with various products ranging from entertainment to health. The recent development in LG DVD player technology incorporates internet capability in the player allowing users to get content directly from online stores. The Korean electronics giant has released a DVD player which enables users get content such as movies directly from the internet. Microsoft is in for business, the latest development in Microsoft products is the unveiling of windows 7 supporting Kiswahili language. Kiswahili is a fast growing language commonly used in most east and central African states. Now Kiswahili speakers have no reason to complain as the new windows 7 operating system is customized to their needs. Enjoy internet applications, E-mail, Instant Messaging and Web access on your Blackberry device using the Airtel Kenya Blackberry service. Mobile subscribers are today glued to internet services on their handsets than before; however, getting a service provider with efficient and cost effective services is not as easy. Airtel kenya provides these services at a single payment fee per month. Have you ever imagined topping up your phone’s airtime credit from a different country other than where you reside? This is a first mobile service from Airtel Kenya. It can be helpful if someone abroad is willing to top up your phone with airtime instead of sending cash; a process that may not be cost effective as compared to global top up service. Nokia is a known brand when it comes to mobile phones with a commendable market share in the sector. However with emerging technologies from other manufactures like Apple and Samsung, the market share of smart phones is becoming more competitive than previously expected hence the need for more innovations in design and features. The new Nokia N8 smart phones comes with more captivating features more advanced compared to other N series models. Orange Telkom Kenya has the lowest data bundle prices in the country compared to other service providers. However their major limitation is browsing speed currently on 2G technology using GSM and Telkom 3G plus CDMA which is very unpopular especially on handsets. 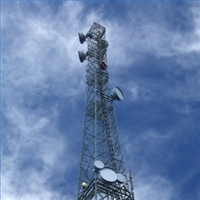 Most mobile phone service providers use GSM network as opposed to CDMA. Subscribers on Orange Telkom network can access the internet for as little as Ksh. 150 per month. YuCash users with bank accounts at equity will now be able to deposit and transfer cash between their equity bank accounts and YuCash accounts using a mobile phone. The partnership will link Yu subscribers with yuCash (mobile money transfer service) to their savings or current accounts at Equity Bank. The partnership comes after equity bank signed a similar deal with Safaricom to allow Mpesa users with equity accounts enjoy similar services through Mkesho. Samsung android phones are now on offer by Safaricom and Fonexpress (a mobile phone retailer). The partnership between Safaricom, Samsung and Fonexpress will see a joint sales promotion of Samsung tablet devices at affordable rates in the country. Samsung galaxy tab devices running on android operating system will be available at Fonexpress outlets; Westgate Mall, Sarit Centre and Yaya Centre. Hewlett Packard (HP), a leading integrated solutions provider has opened a new Training Centre in the country aimed at enhancing knowledge on its products and services. The center is intended to provide information regarding its products and the latest technology to allow its customers utilize the company’s investments in technology. Finally, Orange Telkom Kenya finds a partner in its 3G services rollout ambition to be implemented within the year. ZTE is a Chinese based technology corporation with establishments in many countries especially Africa. Currently, the only service provider in the country on a 3G platform is Safaricom; however other major players are expected to upgrade their services in the course of the year. A stylish 8.49mm light weight Galaxy Sii phone is the latest Android Smart phone from Samsung Electronics to enter into the Kenyan market. Samsung seeks to gain a reasonable market share of smart phones in Kenya by introducing handsets with captivating features coupled with classy designs. Technology and innovations in mobile phones has introduced new capabilities and solutions that transform our daily way of life; the latest is a sophisticated technology allowing mobile phone videoconferencing. Demand for mobile phones with advanced features has also drove manufacturers to incorporate more capabilities in mobile phones such as video call and 4G technology. 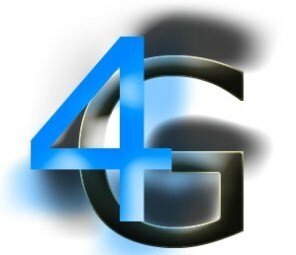 Mobile service providers in Kenya are keen to introduce 4G technology in fact Safaricom has already shown clear interest to use 4G technology. Blackberry users can now enjoy affordable rates from Safaricom for data related services such as push email. Push email feature on blackberry handsets utilizes the use of secure transmission of emails from email servers like gmail, yahoo or an Internet Service Provider account to a handset using GPRS network. Unlike the traditional method of accessing email by logging into your mail account first to retrieve a new email, push technology enables you to retrieve your emails as they arrive into your inbox just like text messages. The set minimum technical specification requirements for set top boxes to be used in Kenya must meet the DVB-T2 platform although both DVB-T and DVB-T2 will run concurrently in Nairobi for the entire duration of the simulcast period. Initially, retailers in the country were allowed to import DVB-T set top boxes before they were burned by the government as Kenya shall be on DVB-T2 platform. Vendors are therefore required to adhere to the new technology set top boxes standards by importing only approved DVB-T2 set top boxes. An electronics giant LG, has partnered with Kenya’s most prestigious university ‘The University of Nairobi’ to introduce a multi-million Air Conditioning Academy in East Africa. The high-tech academy is going to be one of its kinds in east Africa. LG has continued to pursue efforts to be recognized as a major player in the technology world especially in the emerging markets like Africa. Post bank in partnership with Mpesa has launched Patacash, a mobile phone banking service that will enable Mpesa users with accounts at Post bank access money in their bank accounts using a mobile phone. Patacash service will enable Post bank customers withdraw and deposit money into their accounts using Mpesa service. It comes at a time when Kenyans have embarked on mobile banking as the major way of carrying out cash transactions. Mobile banking has penetrated Kenyan market to extend of being used to pay for goods, utility bills and transfer money to friends and family. Equity bank has partnered with Orange Kenya to allow its customers buy any of the Orange products that are sold at Orange retail shops country wide. From the agreement, equity bank will offer a loan facility to its customers ranging from as low as Kshs.1,000 with a repayment period of 1 day to 12 months. This offer is available to customers with bank accounts at equity bank, or those who are going to open accounts with equity bank. Airtel money previously known as Zap plans to expand its mobile banking service in East Africa to over 100 million people. The second largest mobile service provider in Kenya declared that it was committed to providing the most comprehensive mobile banking features available. Airtel money previously known as Zap will expand from its initial country Kenya to other countries in the region. Mpesa’s success has prompted other mobile service providers in the country to venture into mobile banking sector. Other available services include; Mpesa, yuCash and Orange money. Mobile phone money transfer service is the latest venture by mobile service providers in Kenya in an effort to increase their earnings after reduction in voice revenue due to competition. Competition led to a slash in voice tariff rates from Kshs.8 to just below Kshs.2 per minute. YU (Essar) introduced YuCash a mobile phone money transfer service similar to Mpesa to offer money transfer service to its subscribers. Currently, YU is working to grow its agents network countrywide that will allow subscribers transact from anywhere in the country. Getting Airtel internet configuration on your handset is easy, just send a text message to 232 and you will receive internet settings with options of discard or save. To store the internet configuration settings, select SAVE. You can as well use your handset to connect internet on your computer through USB or Bluetooth. For this data section, you will need to configure your connection settings to start having internet connection on your computer. YU is one of Kenya’s cheapest mobile service providers in terms of tariff plans both on voice and data. Unlike other major players in the sector, Safaricom, Airtel and Orange Telkom, YU has not shown any interest in acquiring 3G license arguing that it will enhance and utilize its GPRS network which is capable of meeting data needs of its subscribers. To connect to the internet using YU is easy, fast and fun with start charges at Kshs.3 per mb. Note that this price applies only to unsubscribed data plan with subscribed data bundles costing even cheaper. In order to enjoy YU’s cheapest data tariff plans on your handset, you will need to have a GPRS enabled phone and manually configure it to access internet using YU (Essar) network. Currently only Safaricom operates on 3G platforms, other service providers still use GPRS YU included. However with other service providers like Safaricom, Orange and Airtel, you can automatically configure GPRS setting send by your provider of which you will only need to confirm by saving or storing to start accessing internet on your cell phone. As a result of Kenya’s switch to digital broadcasting, competition in the local pay-TV market is set to heat up. Smart TV is owned by a Swedish firm called Next Generation Broadcasting (NGB), which has partnered with Kenya Broadcasting Corporation (KBC), a state owned free to air TV channel in provision of set top boxes to aid in the analog to digital migration. The atmosphere is heating up even further with local TV stations going to court questioning Smart TV’s operations with KBC. There is no doubt; the filed court case is really eating up into Smart TV’s prior anticipated business success. Chinese phones have taken over the mobile phone market in most African countries due to their affordability. It’s not clear whether these phones are legitimate considering their quality compared to the known brands and in most cases cloned to have an exact appearance as the major brands like Nokia and Motorola. China phones have numerous features incorporated and costs cheaper than other brands with the same features. However their durability is still in question including accessories like battery life and phone cases. Almost all china phones are internet enabled, they can connect to the internet if proper internet setting from your service provider are entered. Bharti Airtel Kenya has unveiled a variety of broad band internet data bundle rates designed to attract different categories of internet users. Airtel intents to introduce 3G services, a move likely to intensify competition among mobile service providers of which already are slashing charges on voice calls to have a competitive advantage. Reduced revenues from voice has led to mobile service providers put more emphasis on data to capture the growing market. This data bundles are further divided between postpaid and prepaid plans. Paypal is one of the largest online payment solutions in the world offering money transfer services to its customers. If you have a Paypal account, you can pay for online purchases as well as receive payments via your account. However not all services offered by Paypal are available in all countries, in Kenya for example, Paypal accounts were only used for payments and it was not possible to receive money to your account. That only meant you can deposit but not receive, in fact it was not possible to have a verified account until local banks introduced prepaid Visa cards that works alongside other Visa branded online payment solutions. Safaricom and Equity bank signed an agreement to partner through Mkesho and Mpesa services so as to allow their customers deposit and withdraw cash from their bank accounts using Mpesa service. The launch of Mkesho comes at a time when majority of Kenyans are turning to mobile money transfer services like Mpesa, Airtel money, Orange money and Yu cash to make cash transactions like payment of utility bills and purchasing of goods and services. Customers with both Mpesa and Equity bank’s account will be able to get loans from Equity bank. Besides voice and data business, Kenya’s biggest mobile service provider Safaricom is now exploiting the retail market for smart phones, recent being the unveiling of Huawei Ideos U815 Android Smart Phone. Buying a smart phone today in Kenya is not as expensive as it was a few years back. Technology in Africa has reached to levels where almost everyone is familiar with features and capabilities of phones many going for those phones with most features incorporated. Bharti Airtel is the second largest mobile service provider in Kenya by market share. Just like Safaricom, Airtel has a mobile money transfer service previously called ZAP before its acquisition by Bharti from Zain now the money transfer service is called Airtel Money. Since the introduction of Airtel money, Airtel has partnered with other companies to make it possible for its customers to settle utility bills using the service. One such company is the Kenya power and lighting company. The latest in mobile money transfer is the partnership between Nairobi Water Company and Safaricom the largest mobile service provider by market share in Kenya. Nairobi residents will now be able to make payments for their water bills using Mpesa service at their convenience. Only residents who use water from Nairobi Water Company will be able to make payments using Mpesa service without having to visit the company’s offices. Following the successful rollout of 3G services, Kenya’s biggest mobile service provider Safaricom now intents to introduce 4G technology services that will see their customers enjoy faster internet speeds and downloads. Presently, Safaricom is the only service provider in Kenya offering 3G services to its mobile subscribers. Airtel, and Orange Telkom have already been issued with 3G license from CCK but are yet to start offering 3G services to their customers. Safaricom will start testing 4G technology on its network and later migrate from 3G to 4G. 4G technology will provide subscribers with faster internet speeds and a larger bandwidth in general. Although migrating to 4G seems to be a costly venture, Safaricom reckons that it has the potential to give them good returns. Safaricom has 500 base stations around the country but intents to set up another 500 to increase its efficiency. Kenya’s deadline for migrating to Digital broadcasting is 2012 three years before the global deadline 2015. Kenya is expected to beat its own deadline after launching the first phase of its migration at a cost of Sh200 million. It will become the second African country to migrate after South Africa. The launch which was commissioned by President Mwai Kibaki took place at the Digital Video Broadcasting Terrestrial Centre at KBC studios. Digital broadcasting will end an era of analog transmission where Kenyans will experience better quality transmission and reception of their favorite TV channels. The Kenya Commercial Bank’s general purpose card is a Visa branded card that can be used to make online payments. The General Purpose Visa Card was specifically designed for those individuals who dint want to use other KCB cards. The most beautiful aspect about this card is that it’s a debit card which means that you only use preloaded money. Since the general purpose card is Visa branded, it can be used for internet purchases as well as shopping at any Visa branded merchant outlets world wide. You can also withdraw cash from any Visa branded ATM machines. Dstv is one of the biggest pay TV service providers in Kenya. Apart from the normal Digital TV subscription, Dstv has introduced a Dstv Mobile service that works on a DVB-H compatible cell phone. In Kenya, Dstv has partnered with mobile service providers to give subscribers an opportunity to have digital television on their handsets. Subscribers on the following networks can subscribe to Dstv mobile. 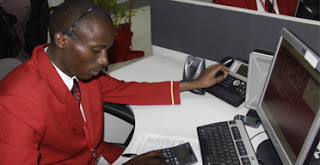 Kenya Airways has developed a state of the art call center in an effort to offer reliable services to customers. The KQ Area Manager for Kenya Nita Nagi said that the call center located at Embakasi is intended to offer quality and efficient services to customers outside the country who were not served by their old call center which only opened for 12 hours only. Technology in cellular phones sector continues to be the most preferred source of mobile communication. Since the days when landlines were the major means of telecommunications, cellular phones have enhanced the sector by increasing the number of subscribers and increasing the services being offered by service providers. Cellular phones are cheap and with mass productions from manufacturers like Nokia, almost everyone today owns a cellular phone. There are various categories to choose from a preferred cellular phone; however the major classification is based on the supported features that the cellular phone comes with.